Al Jeffery - Facilitating community and human performance! Working with individuals and teams, cultivating performance and creative progress! As a believer in experiential learning, Al believes that when we’re working with individual and group behaviour-change, only experience and embodiment can create a sustainable result. Al delivers transformative workshops for individuals and impact-driven teams looking to increase performance, wellbeing or connectivity. Al’s approach is very much aligned with the work of Ken Wilber’s ‘Integral Approach’ and the work of Ten Directions and Presencing Institute/TheoryU. 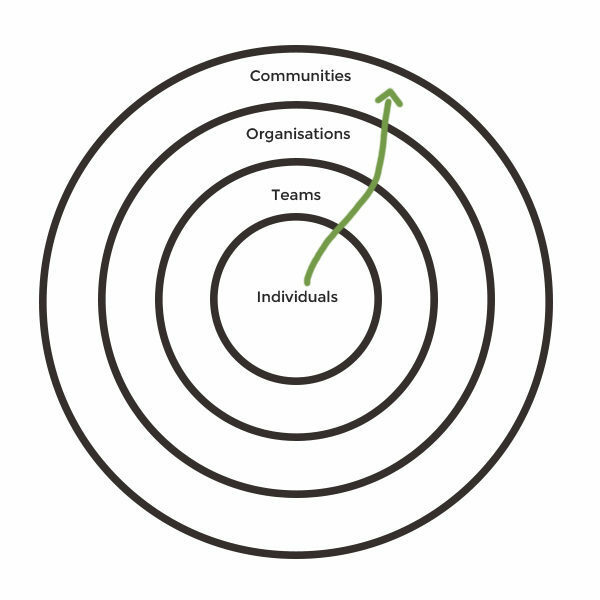 For sustainable change within any team or organisation we need to work on the individual and group level. Al’s work integrates both, realising that both are necessary and fundamental! Cultivating a connection to purpose, potential and personal strengths within each member of the team through wellness coaching and then working to foster deeper inter-personal relationships, open communication and conscious awareness of dynamics on a group-level. Bringing awareness to underlaying patterns in a group dynamic is something Al focusses on and does very well. Al really focusses on just 2 things! Through mindfulness, wellness coaching and other modalities of personal transformation Al works with both executives and managers and has curated programs to work with individuals within teams within organisations. There can be many subconscious and underlaying patterns that take place in a group dynamic and Al is great at being a mirror to these so that they don’t swing by unnoticed! He also runs workshops centred around vulnerability and sharing, designed to deepen interpersonal relationships and belonging in a team. As an executive and human-performance coach and having trained in many modalities of change, Al works with a select 3 clients per year to enhance personal wellness and progress on creative outcomes. “Without a mirror we can’t see what’s behind us,” quite literally and also in a sense of what is stopping us from achieving what we are here for! 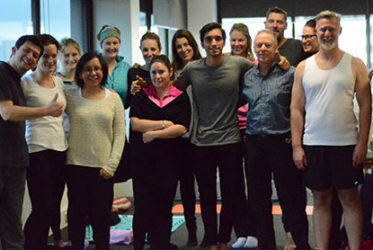 As a certified yoga teacher, meditation teacher and group facilitator, Al facilitates curated wellness programs for progressive organisations looking to cultivate higher levels of creativity, productivity and employee wellbeing. Al is known for diving into the ‘undercurrent’ in group dynamics to bring any underlaying patterns to the surface so that change is sustainable. Boosting cohesion, understanding and performance at the executive level is crucial to allowing the same in any team. Al joins executives on an intentional retreat at a chosen retreat centre to develop personal performance and team communication and relationships to take back to the team!